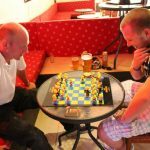 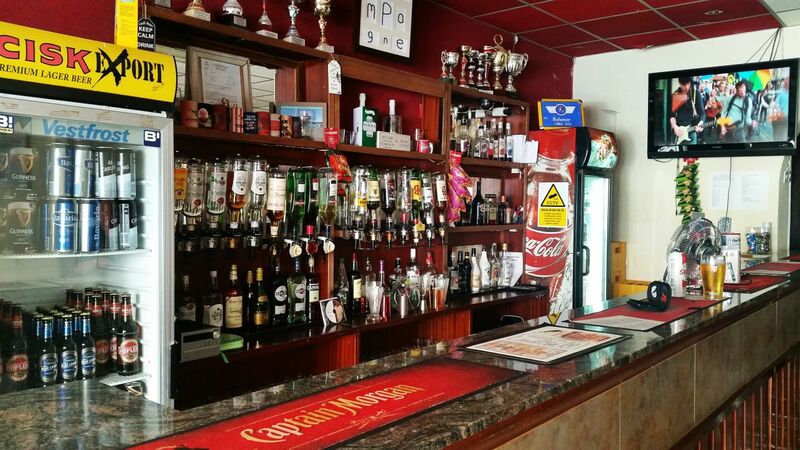 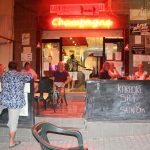 One of the first and best known bars in Bugibba with a lovely friendly atmosphere! 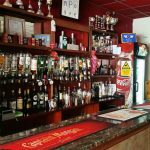 That’s the perfect place either you are a holiday maker or a local looking to chill out and enjoy your time witha few drinks! 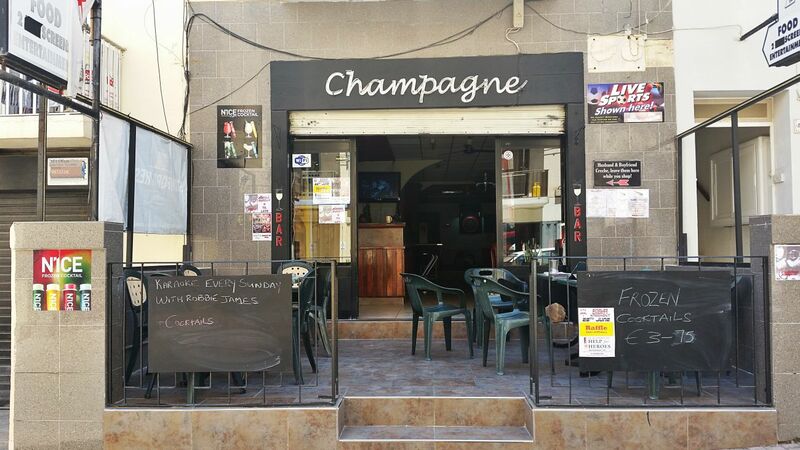 The Champagne Bar offers a large area with Pool table and dart board. 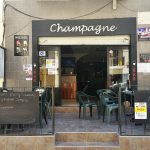 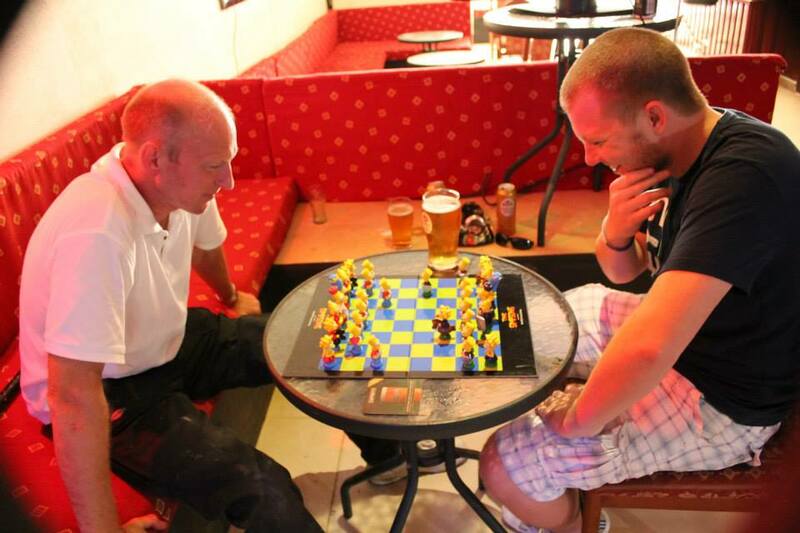 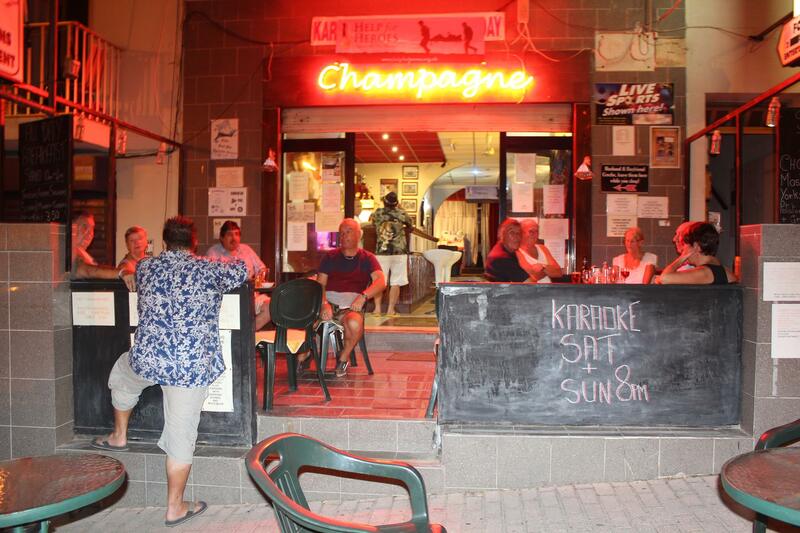 We offer very reasonable drink prices and friendly staff, as well as an Outside Terrace for catching the Malta sun. 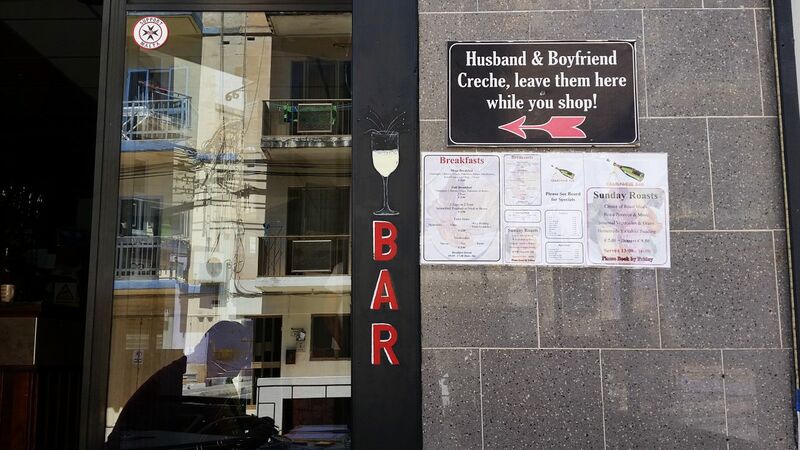 Here you can taste the Frozen Cocktails NICE… everyone wants them!!! 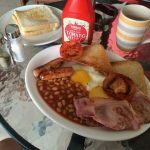 You may also be hungry, so we offer traditional pub food for you to enjoy! 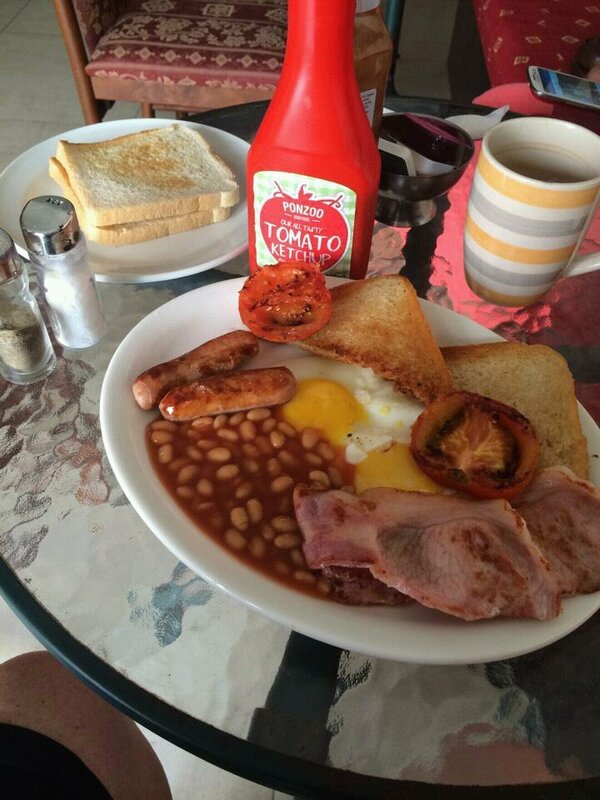 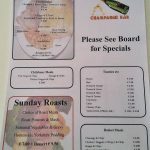 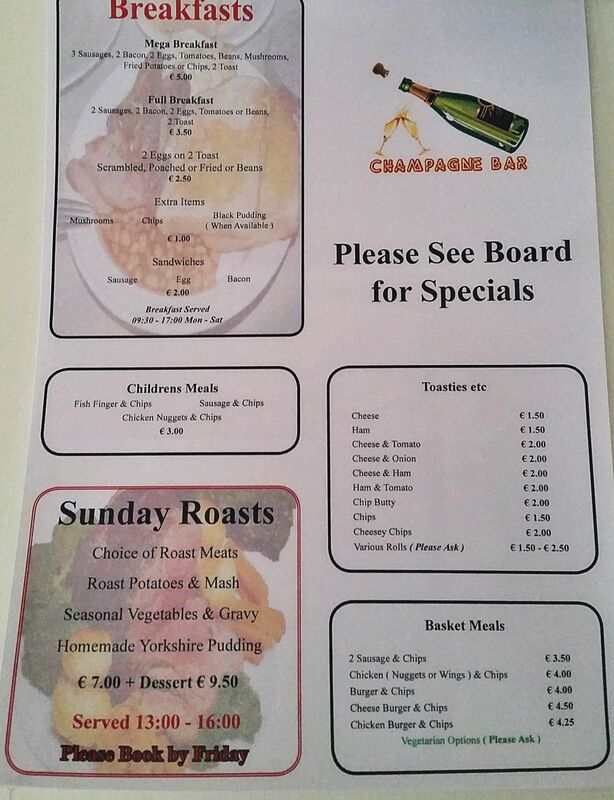 Food available daily, breakfasts and Special Sunday Roast available. 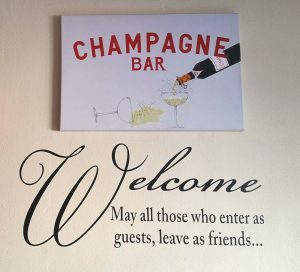 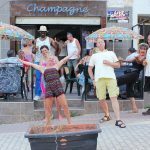 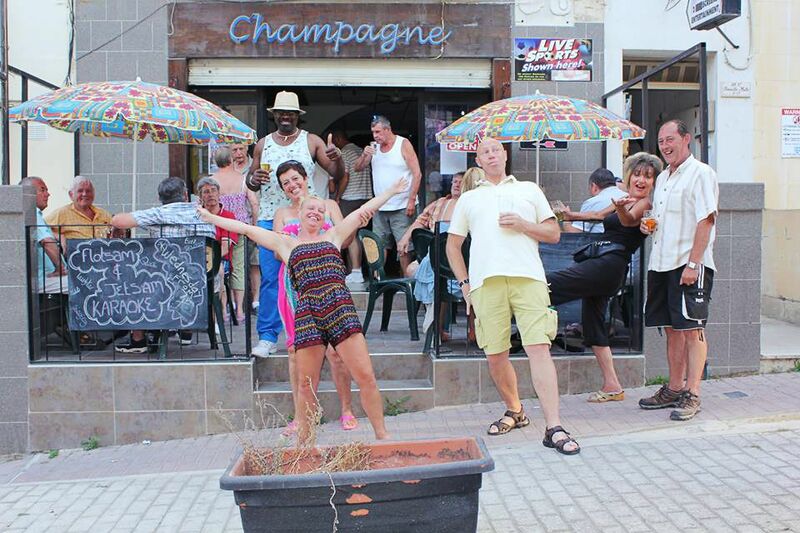 At Champagne Bar there is always the opportunity to laugh and have fun! 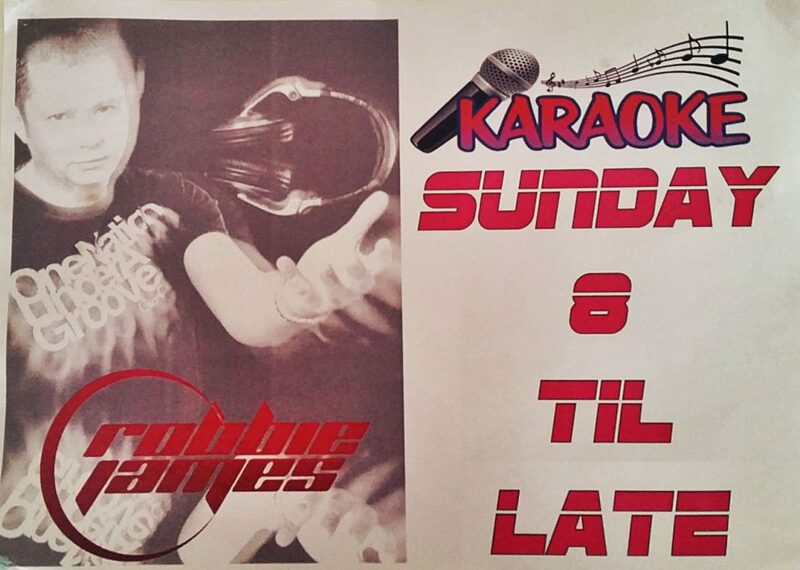 with Robbie James and the Karaoke! 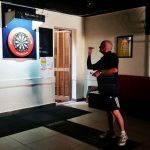 Do you enjoy a game of darts? 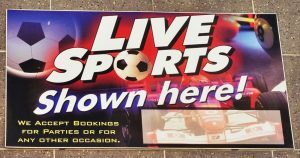 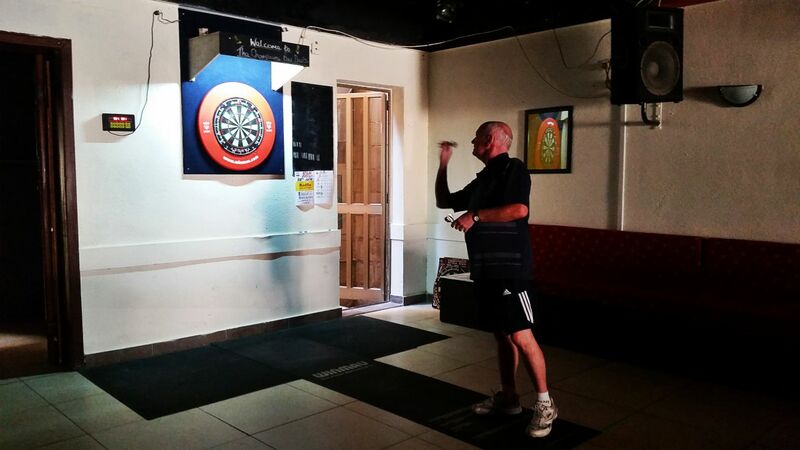 If so you are more than welcome to enjoy a game here or even join our very friendly Darts Team! 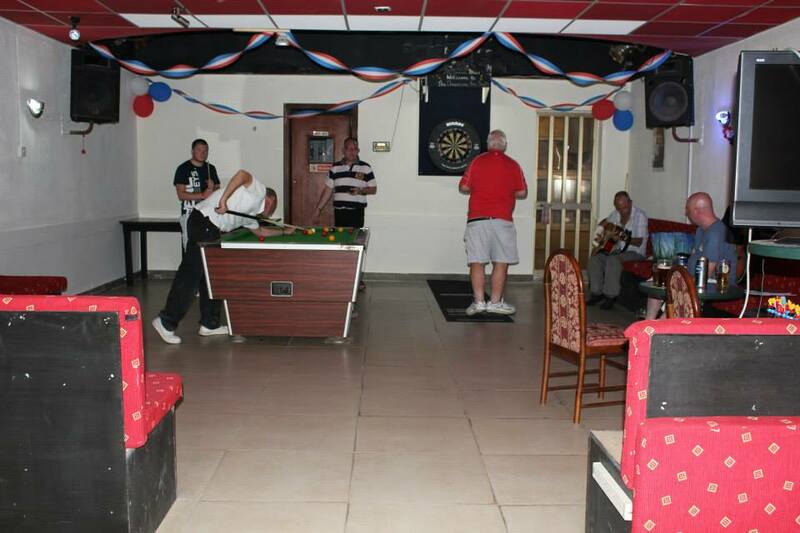 We can also organize your birthday party or any other special occasion. 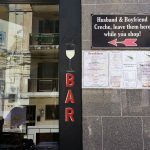 Just a 5 minute walk from the main square.